Bus advertising consists of all the advertisements that go in and around the interior or exterior of the bus. 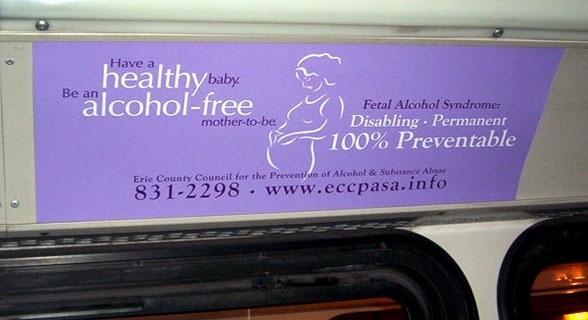 One of the greatest advantages of bus advertising is that it can’t be ignored. Unlike radio, internet and TV, bus ads can’t be skipped or turned off, giving plenty of opportunities to engage your audience. Now, let’s take a drive into exterior and interior bus advertising and what they have to offer. No matter the option, exterior bus advertising has many benefits. Bus exterior advertising reaches a vast audience of passengers, drivers, and walkers. It also reaches prime locations from suburban areas to shopping malls and business districts to universities. 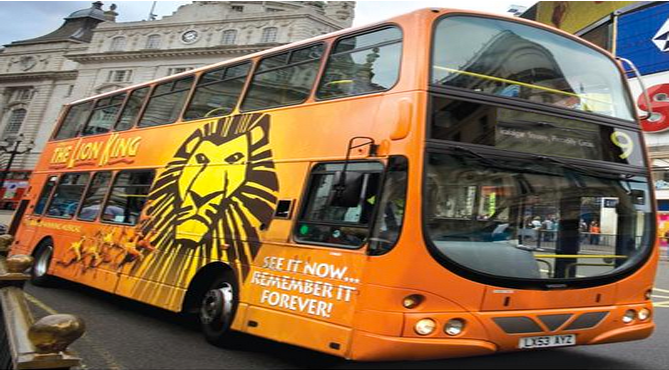 Additionally, exterior bus advertising is budget-friendly with high impressions at a low CPM. Lastly, it offers different sizing and placement options to perfectly fit your budgetary needs! Here are the options offered through exterior bus advertising. Front End: Turn heads with these displays that surround headlights or completely cover the front end. Back End: Be seen in standstill traffic with these displays featured around taillights or covering the entire back end. Side Panel: These displays are featured on the side ranging from small to big respectively with the options: queen, king, kong, and ultra super king. Wraps: Get extra bold by wrapping one half or the whole bus in your advertisement! Interior bus advertising has similar benefits to exterior bus advertising as it affordably reaches a diverse audience at prime locations. Another benefit of interior bus advertising is that ride time gives passengers an opportunity to read and observe your displays before their stop. Finally, it also allows for flexibility in sizing and placement. Here are the interior bus advertising options. Top Interior: These displays go in between the bus window and the ceiling to be easily viewed by passengers. Front Interior: These generally-larger displays are placed at the front of the bus providing more creative space to be noticed. Ceiling Interior: These displays are attached to the inside ceiling to attract wandering eyes. Grab Handle Interior: These displays are located on or around grab handles drawing attention as passengers reach for them. Audio Interior: Be heard during the commute with your audio advertisement playing over the speaker system! BillboardsIn is the stop for all your bus advertisement needs. Check out the rest of the website to get started!